This item is selling for $314.00 on eBay. 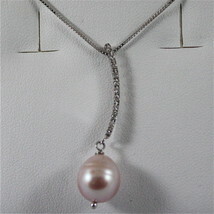 It's a necklace made with 18K white gold, diamonds ct 0.08 and pearl (rose) diam 11mm (0.43"). 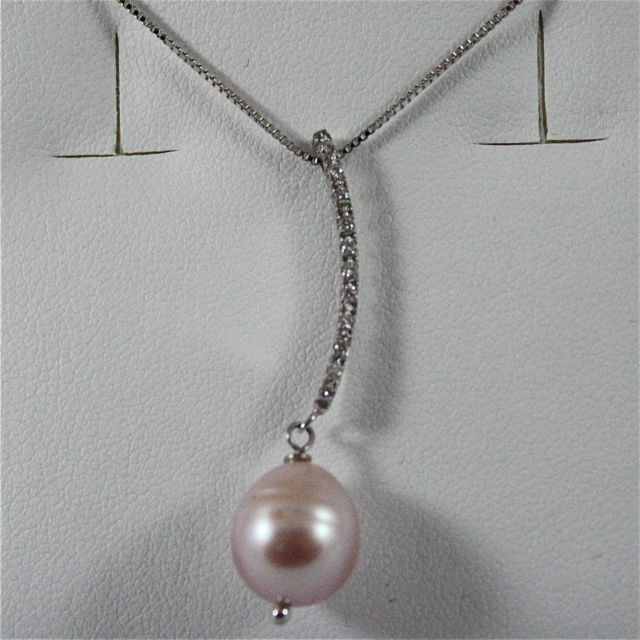 It comes with a 18K white gold chain.